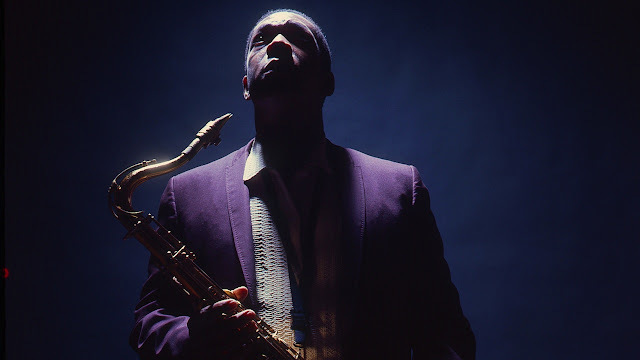 CHASING TRANE: THE JOHN COLTRANE DOCUMENTARY is a thought-provoking, uplifting, powerful and passionate film about an outside-the-box thinker whose boundary-shattering music continues to impact and influence people around the world. The beauty, poignancy, energy, pain, joy and inspiration heard in nearly 50 Coltrane recordings from throughout his career brings alive the artist and the times in which he lived. Even those familiar with his music will be able to hear and appreciate the music of John Coltrane in a new and exciting way. Although Coltrane never participated in any television interviews (and only a handful for radio) during his lifetime, he has an active and vibrant presence in the film through his print interviews. These words—spoken by Academy Award winner Denzel Washington–illuminate what John Coltrane was thinking and feeling at critical moments throughout his life and career.